You may or may not be aware that Melbourne has a few extra public holidays on it’s books… but shh, don’t let the rest of Australia know. One of these beauts is set for Tuesday 1st November, and this time it’s in celebration of Melbourne Cup Day. If neither you – nor your plans – are on track for cup day, then fear not. If you’re not going, then make sure you find a good spot nice and early (and by early, we mean BOOK, guys…) because the weather is set to be good; which means the drinks will be flowing, banter will be on form, and seats (especially those in the sun) will be limited. To help you sort the metaphorical wheat from the chaff – venue-wise – we’ve put together a brief ‘what’s what’ around Melbourne for Cup Day, to help you find the ideal place to spend the long weekend; cheering on the race that stops the nation with good food, booze and tunes. Want bubbles, big screens and sweepstakes, but don’t want any fuss? Then experience Melbourne’s most glamorous day… on St Kilda Beach! Even though you’re off track, there’s no reason your fashion needs to be – so throw on your best frock, fascinator, suit or tie, and be in the running for a best dressed prize. There’s also going to be live music between races, so even if betting isn’t your jam, then jamming can still be your best bet. Race Day Special: You’re set to be chomping at the bit for the Cup Day Set Menu, available for a mere (or should we say, mare…) $45. Includes Bread & Dips, a choice of main + a glass of bubbles. Sticking with the St. Kilda vibe, saddle up and trot over to the Grosvenor Hotel to enjoy full coverage from the race track on the venue’s many big screens, while enjoying live music from Tim Morrison (ex-The Voice) from 3pm-6pm. Not only that, but well known local DJ, Hoops, will grace the decks from 6pm-9pm to keep the party going with his unique blend of the tracks you know and love. Race Day Special: Graze on the kitchen’s classic pub fare and soak up the carnival atmosphere while sipping on $10 champagne cocktails. Aye aye, Captain! 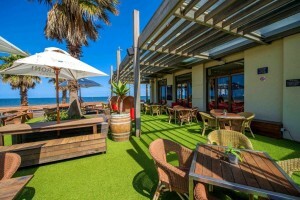 Due to St. Kilda maintaining a reputation for its chill beachy vibes (among other things), there are more than a few great drinking spots dotted about it. Another great one to check out on Tuesday is Captain Baxter. Get on your best race-based attire and enjoy big screens, sweepstakes and best dressed prizes… all while staying beachside. Race Day Special: Get amongst the $55 Baxter lunch special + glass of bubbles to get the day off to the right start. True to its name, Secret Garden is… well, secreted away from the hustle and bustle of Fitzroy Street, in St. Kilda. Offering the tranquillity of garden daybeds, delectable cocktails on the decking, private areas for a more intimate experience or just dancing the night away in Robin’s nest – whatever your vibe, Secret Garden is here to cater. If you’re heading into the CBD for the day off, then perhaps South Wharf’s offering -The Boatbuilders Yard – might suit your tastes. Watch all the race action live on the big screen, as well as getting amongst the live entertainment and DJ’s throughout the day. 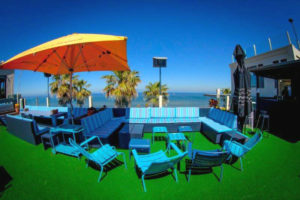 If you’ve got no interest in the races, you can still enjoy a BBQ buffet overlooking the Yarra, or play giant sized games for light-hearted entertainment in the beer-garden… and the sun. 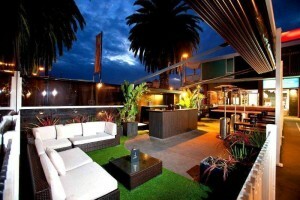 Race Day Special: $100 to secure your booking and table bookings are essential (up to 6 people). Includes a bottle of Mumm + a cheese and fruit platter. On the banks of the Yarra River, hidden beneath the Princes Bridge, lies Riverland Bar – one of the most iconic waterfront venues Melbourne has to offer. 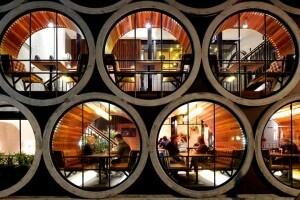 Tucked away from the hustle and bustle of the city noise, the heritage listed Federation Wharf vaults ooze Melbourne, offering an urban beer garden that rivals any of its more rural cousins. Since it’s going to be sun-lounger weather, get down to Riverland and make the most of it – even if you’re stuck in the city. Race Day Special: $40 two hour boozy brunch (book a two hour slot between 8am and 12pm) inclusive of breakfast, bottomless mimosas, bloody marys, bellinis, or house made lemonade and juice. If you’re more of a night owl than a day… pigeon (? 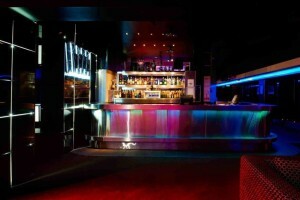 ), but still want to soak up some race day vibes, then giddy up and celebrate the Melbourne Cup at Co., Level 3 at Crown. Grab your team (actual name for a herd of horses, would you believe) and dance the night away to your favourite party anthems and club classics, as local DJs spin the hottest tracks and freshest beats. Race Day Special: The whole night! Doors open 9pm, and you can nab tickets at the door: $15 before 10pm (or you’ll have to pony up for $20 afterwards). 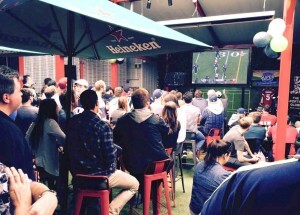 Located in the vibrant hub of Melbourne, on the corner of Bourke and Exhibition streets, and featuring an extensive range of beers and a traditional English menu, the The Elephant and Wheelbarrow Pub is a great choice of race day venues – whether you’re keen on racing, or more of a fan of the lazy day off booze-fest. Race Day Special: Get down to the Elly to dance the day/night away with a rolling set of the best cover bands in Melbourne, playing throughout the carnival. 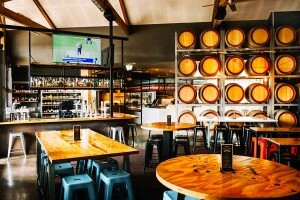 Delightful food, a relaxed atmosphere and an impressive selection of beers, wines and cocktails make this Docklands’ best new one-of-a-kind venue. To be honest, this is one of the more perfect venues for before and after the races as well as a place to watch it all go down – what with being located a stone throw away from Etihad Stadium, and all. Race Day Special: Champers brekkies throughout the carnival – and if you book a pre-race table in advance, you get a complimentary glass of Wolf Blass Pinot Noir Chardonnay. Haaay. The Leveson, a hidden North Melbourne gem, promises to provide you with all of the elements of a great modern Australian pub. 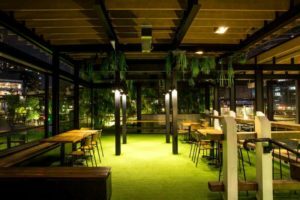 A casual beer garden/courtyard promises a place to soak up the rays, but also (as we are in Melbourne, let’s not forget) is also fitted with a retractable roof. Hungry after all that betting? The Leveson also boasts a restaurant providing opportunity to grab a relaxed, quick bite, the perfect parma or a range of choices from an ever-changing & diverse al la carte menu. Race Day Special: Start early at the Leveson, with happy hour from 6-7pm and acoustic from 6pm on Cup Eve (Monday). Head back in early on Tuesday – they’re open from 11am with drink and food specials all day, and live action screens all over (in case you actually want to watch the race). In Richmond? Check out the Sporting Globe, which manages to team high quality casual dining with the ultimate state-of-the-art sports fit out, creating an upbeat and social bar atmosphere. If betting is a serious business for you, get in early and nab one of the specially designed booths on offer, for a unique dining experience with individual screens for private viewing. Alternatively, if it’s more of a group atmosphere you’re after, then you and your mates can watch all the action on the surrounding HD screens. Race Day Special: 2 course set lunch for $34.90; includes 6 frenched wings, a porterhouse steak or grilled barramundi & a complementary drink (glass of Wolf Blass Shiraz, sparkling, schooner of Little Bull Pale Lager, Bulmers Apple Cider or soft drink). 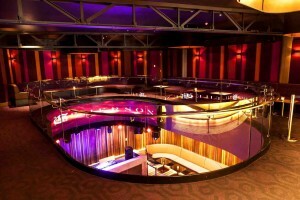 The Emerson is a unique, multilevel venue, based in South Yarra. It’s special for a number of reasons, not least of which is the ease with which it marries elegance, fun and contemporary style with Melbourne’s laid back sophistication. 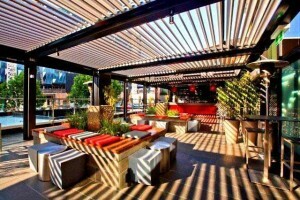 Spanning Club, Cocktail Bar & Lounge and Rooftop, The Emerson invites you to eat, drink and play under one roof! 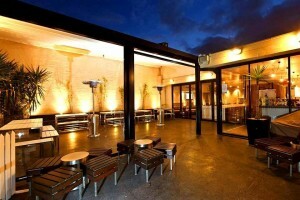 Race Day Special: Elegant booths available to be booked atop the roof, the perfect setting for a cheeky Rosé. Head back on Saturday 5th to enjoy ‘Stakes Under the Stars’, featuring Dave Stewart and Jon Stevens. Tickets $125.00 (including drinks). 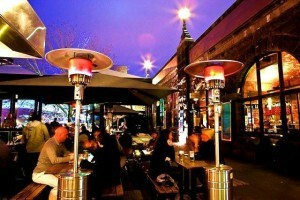 Nestled in the heart of Prahran, this Melbourne pub has been serving loyal locals and the like since the mid 1800s. Featuring three visually unique bars, you’re sure to find your place to have that much-anticipated beverage – race happy or otherwise. 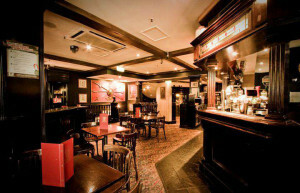 You won’t be short of an option either, with the beverage list offering a broad selection of traditional draught beer, craft beer, cider, cocktails and an extensive wine list. Race Day Special: With a total of 17 plasma screens, you won’t miss a chance to revel in Melbourne’s love affair with The Cup – and to top it off? There’s a sumptuous Cup Day Banquet available, too.